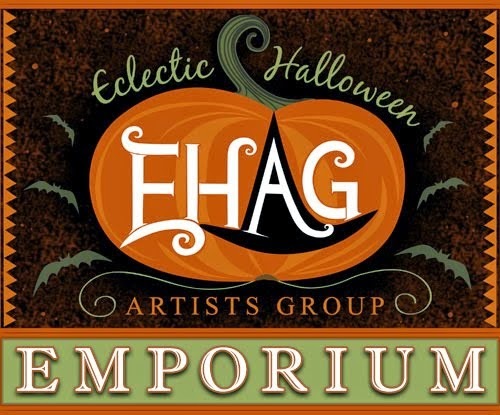 Happy Holidays: The EHAG Emporium and Hot Cross Buns! I am not slacking off as some of you may think; it has been six days since I have posted anything. My goal is to do at least two or three posts a week but I have been working like a crazed little beaver in my studio and I am just about finished my EHAG Emporium piece, only one or two little last minute items to finish. Tomorrow I will photograph it, get the pictures ready, do the write-up and then all is done. We are having weekly give-aways at the EHAG Emporium sales blog so head over there, follow the directions and you may win this weeks prize. The images of the shoe candy containers are finished, all that is needed now is to do the write-ups and then they will be posted on my sales blog. Easter is almost upon us and I have lots of images to post. I had better be off now there is lots of work to get done; in the mean time go to my post about hot cross buns for the recipe. 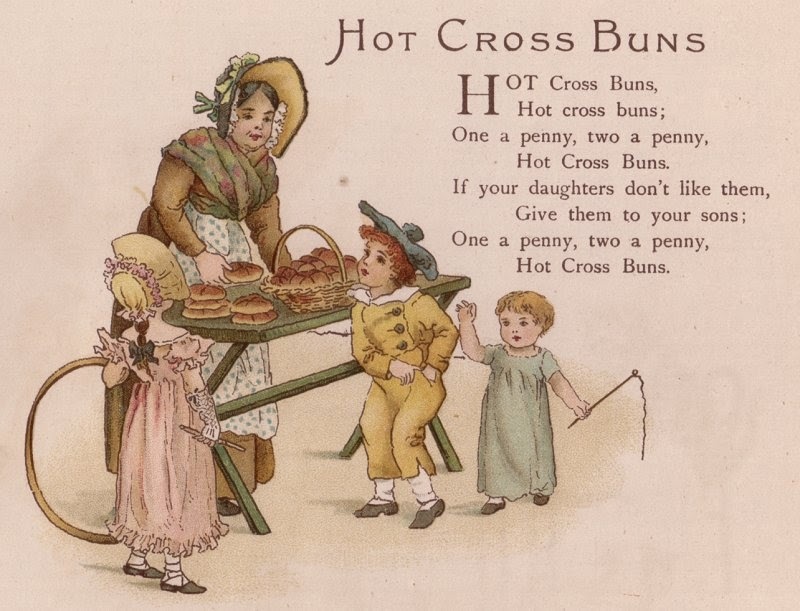 Purchase the ingredients and make a batch of home-made hot cross buns, you will never buy them again. Cant wait to see your newest - Ill be up late tonight finishing up my piece too.